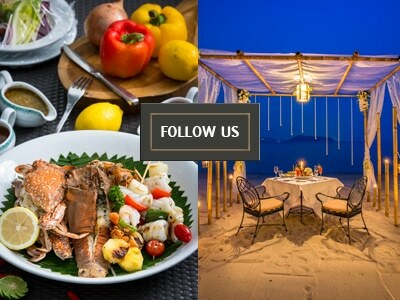 Phuket is undeniably a destination for amazing culinary treat. The beautiful island is famous for spicy, unique and great tasting menus. Seafood lovers will also rejoice and feel like they have arrived in such a great paradise since large prawns, rock lobsters, fresh fishes, crabs and more are abundantly available in Phuket. Thai pork is also proven to be juicy, tasty and tender. This is basically and widely known as the combination of sour soup and spicy prawn and indeed a Phuket must-try food. The Tom Yam Goong is actually the original version of the entire Tom Yan variations including the Tom Yam Talay mainly made of seafood and Tom Yam Gai made of chicken and the Tom Yam Kradook Moo which includes pork ribs. The most essential part of the entire Tom Yam is actually the soup which is made from red chili, coconut milk, herbs and mushrooms and many other spices. This is a simple stir-fried noodle dish that comes with prawn. This is must-try local Phuket food before you leave. Upon tasting Mee Hokkien Noodle, you will surely come back for more. This thick and yellow fried noodles, pork, egg, squids, bean sprout, prawns are said to be all in perfect combination making this Phuket food more delicious. The noodle is usually served with lime juice squeeze and sambal chili. It seems that Phuket foods are hard treats for those who are not really into spicy foods, but with the Massaman Curry, individuals do not have to worry anymore. This delicious curry is love by many. The flavor of this must try Phuket foods is surprisingly good with an added sweetness of coco milk. A bit sourness of the lime juice and flavorful aroma of basil and lime leaves as well as thickness of tomatoes and peanuts make this curry even better. The Massaman Curry actually has various versions but this depends on the ingredients used which can be fish, beef or pork. This curry is best with noodles or steamed rice. When talking about Dim Sum, you will surely be surprised to learn about these Chinese fusion foods in Phuket. As there are many types of dim sum available and ready to be ordered. The best type of dim sum is the one that is folded about seven times with the fluffy and glowing look. Fillings are said to be diverse including pork, prawn, green beans and shrimp. The Dim Sum is ultimately smooth and flavorful. The Kanom Jeen Phuket is also another Phuket must try food that will allow you to indulge in delicious soup made of mushrooms, tomatoes, lemongrass, chicken, galangal and chicken cooked in coco milk. This dish is usually added with fair amount of chili. This is not really very spicy yet very flavorful. Eating out in Phuket and trying these irresistible Phuket foods is truly an inexpensive yet pleasurable experience.